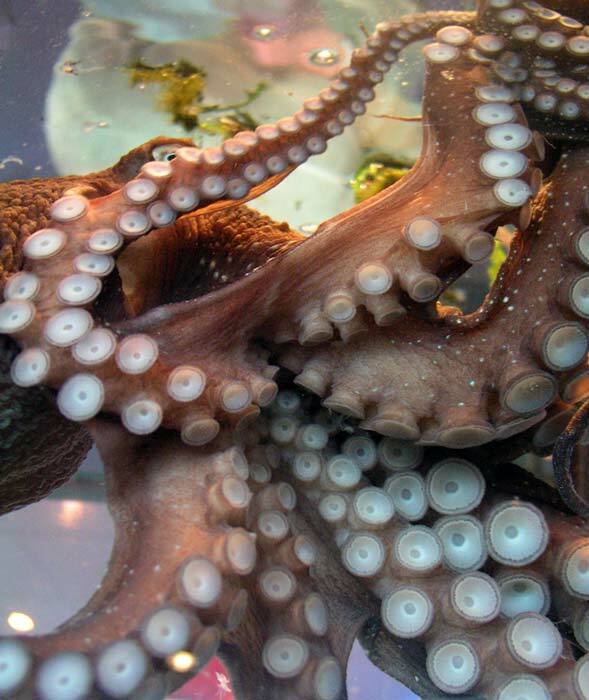 Each arm of the common octopus has a double row of circular suckers. Unlike those of squid, octopus suckers have no hooks or teeth. Suckers are muscular structures, and when pressed against a surface create low pressure in the suction cup that provides grip. The suckers pictured here belong to Oto, who spent some months recovering from an injury in a display aquarium at Wellington airport. He was returned to Cook Strait in October 2005.